The Canadian Armed Forces marked a major military milestone in the retiring of the CH-124 Sea King maritime helicopter, which has served for more than 50 years. The Sea King will officially retire from service by December 31, 2018, as the RCAF completes its transition to the new CH-148 Cyclone maritime helicopter. But the Canadian Armed Forces paid tribute to the aircraft in a parade held Dec. 1 in Victoria, British Columbia. 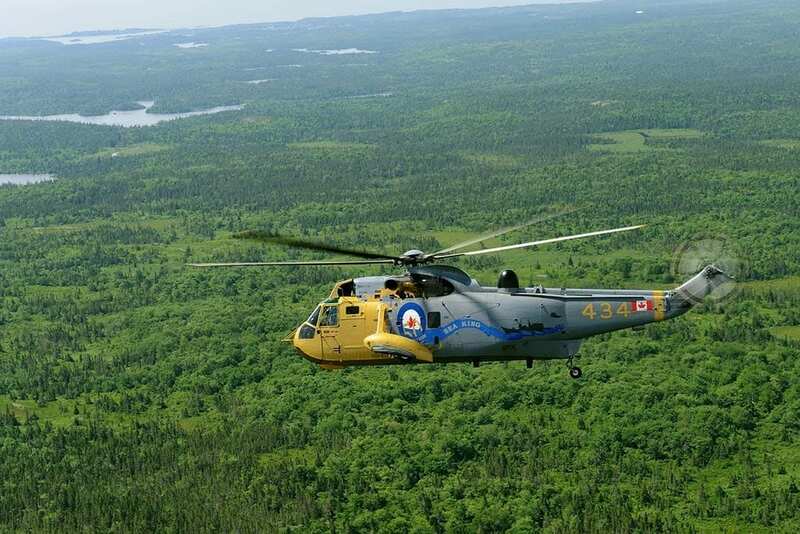 Although the Sea King operates from ships, and was originally procured in 1963 to conduct anti-submarine warfare at sea, the aircraft were operated by the Royal Canadian Air Force (RCAF), and was that service’s longest-serving aircraft. The aircraft were assigned to the 12 Wing and based at Shearwater, Nova Scotia and Patricia Bay, British Columbia. The aircraft was capable of day and night time operations, and had folding rotor blades so they could fit into the hangars aboard surface combatants. It had an amphibious hull and could land on water. Canada’s CH-124 Sea King fleet has flown in excess of 550,000 hours, and served in NATO and other international maritime operations conducting international peacekeeping; surveillance; and counter-piracy; as well as anti-submarine warfare. They have deployed all over the world, including the Persian Gulf, Somalia, Yugoslavia, East Timor, and Haiti. Many of the domestic maritime duties in the U.S. that would be conducted by the U.S. Coast Guard, such as search and rescue, disaster relief, counter-narcotic operations, and pollution and fisheries patrols are missions performed in Canada by the Navy and Air Force, and many of those response and enforcement missions were performed by the Sea King. Most recently, a CH-124 Sea King participated in the CAF’s support to fire-fighting operations in British Columbia.